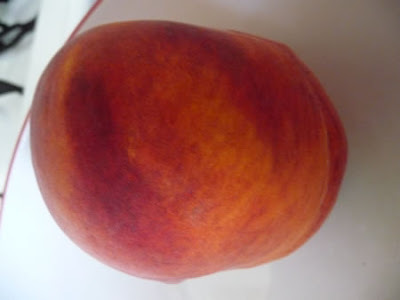 First, I had to snap a picture of this peach I bought at Costco, which I named The Elephant Man Peach. It's long since been consumed by me; I didn't bother to save it like I did that egg with the shag haircut but unlike the egg, it has been captured by the camera. Notice the resemblance? Next, in reviewing my writing, I find that I tend to use a lot of qualifiers and other unnecessary words, which I have been trying to edit out. I don't know if "qualifiers" is the right term, but what I mean, for example, are words like "though," "but," "although," "however," and stuff like that. Also, I tend to use what I call attenuators, words which serve to lessen the force of the statement - things like, "perhaps," or "somewhat," or "partly," or "tend" - so that whatever I am saying becomes less of an unequivocal statement. In other words, no bam and pow, only somewhat of a bam and pow. I think this comes from my days with a CPA firm, where everything that you write has to be prefaced with a term that evaluates to a "maybe." For example, rather than writing "the check approval process is functioning properly," we instead had to write, "it appears the check approval process is functioning properly." Everything could only appear to be something, rather than definitely, actually be something. It would appear this habit has stayed with me over the years. So now I am trying to watch myself and refrain from using unnecessary words. We'll see how that goes! Thirdly, relating to this week of vacation that has turned out so hectic - I mentioned several weeks ago how my mom had fallen and injured her shoulder, requiring a week of hospitalization and then from there a stay in a rehab place to get physical therapy. 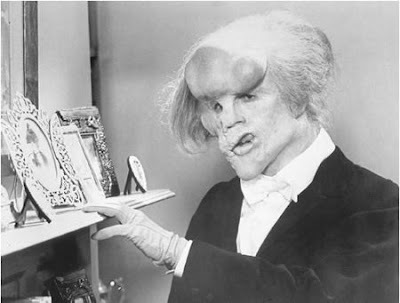 I also mentioned how it finally hit me that my parents have gotten old and are unable to be self-sufficient. I think it hit me sooner than it did them; one of the things the therapist said was that in order for my mom to be released, she needed a caregiver at home for safety reasons. Both my parents thought that was unnecessary and that my dad could take care of her. Part of it was a resistance to the idea of having a stranger in the house. After some discussion, as well as a realization that the sooner a care arrangement was made, the sooner my mom could escape the confines of that dreary and depressing place, they were more amenable to the idea. One of the alternatives was an intermediate care facility (ICF), which after considering the pros and cons, both of them liked very much. My sister and I thought it was a good idea as well. True, they'd be exchaning the free range life in a (relatively) spacious home for much more cramped quarters, as well as a more regimented routine. But on the other hand, they wouldn't have to worry about maintaining the house, doing chores, running errands, cooking, cleaning, etc., or worry about their neighborhood, which is not the safest in the world. My dad wouldn't have to drive any more, which would be a great relief for all of us, including him. And they could have a social life with peers. After weighing it all, they expressed a desire to move to an ICF, one specific place in particular. Normally most people who are placed in a facility like that are unwilling participants, feeling a loss of freedom or abandonment by family, or both; the kids feel guilty as well. But in this case, they actually wanted to go there, which made things a whole lot easier for everyone. Lo and behold, on Monday we received notice that there was an opening at the ICF for my mom. We went there on Tuesday for an evaluation, which she "passed," and they accepted her. She moved in this past Thursday. We were wondering how my dad was going to handle the change since he missed her so much while she was in the hospital and the rehab place; he would visit her every day but now the ICF was too far of a drive for him. How would he manage being by himself most of the time? Well lo and behold, on Wednesday we got word that there was an opening for him as well. Someone flaked out at the last moment, freeing up a space. So he will be moving in this coming Monday. Unbelievable. We'd been praying a lot about this whole situation and it is amazing how God answered our prayers. I'm still in a daze because everything happened so quickly. There's not enough time to get everything ready but then I guess there never really is, no matter how much advance notice there is. So we need to go with the flow and take advantage of what's been offered to us. It is a monumental change for all of us. I can't imagine my parents no longer in the house where they've been (and I used to be) since 1969. But I feel much more at peace knowing that they are happy with the outcome and that there will be staff to watch over them on a 24/7 basis in case they need help. What a week. Thus begins a new era, something we hadn't even imagined a mere week ago.